Eddie Redmayne in a shot from the new trailer. THE first trailer has gone online for The Danish Girl, a movie that documents the world's first transgender woman. 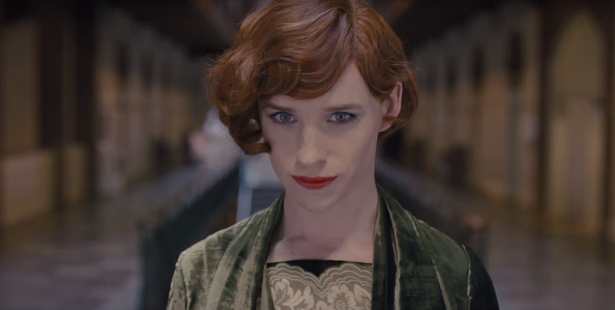 The Danish Girl tells the story of transgender woman Lili Elbe, and is already being pegged for Oscar glory. Born Einer Wagner in the late 19th century, Elbe underwent gender reassignment surgery in 1930 and became a prominent fixture in newspapers as a result. Redmayne stars as Elbe, with Alicia Vikander (Ex Machina) co-starring as her wife Gerda. The trailer shows the two young and in love, but their marriage becomes rocky when Elbe begins to realise who she really is. "I think Lili's thoughts; I dream her dreams. She was always there," she says in the trailer. The trailer shows some of the issues Elbe has to face, including harassment and judgement from her peers. However, she eventually gets the support of Gerda and undergoes her first operation. "This is not my body. I have to let it go," an emotional Lili says during the trailer. The film is already being marked as a serious Oscar contender. Redmayne is coming off his best actor win earlier this year for playing another famous pioneer, Stephen Hawking. Tom Hooper, who previously won best director for The King's Speech, is directing the film.